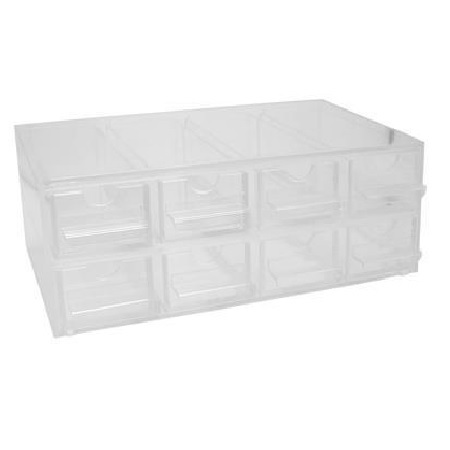 Make more sales when you use this 8 Drawer Yogurt Toppings Dispenser. Works equally well for yogurt toppings, ice cream toppings, or as a candy display. 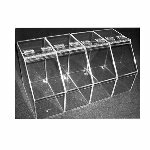 With convenient finger holes for easy access, a candy bin or two or three makes perfect sense for easy dispensation. This candy display allows you to show more product at once and stayed organized at the same time. Get ahead of the game today by choosing these stylish candy dispensers. 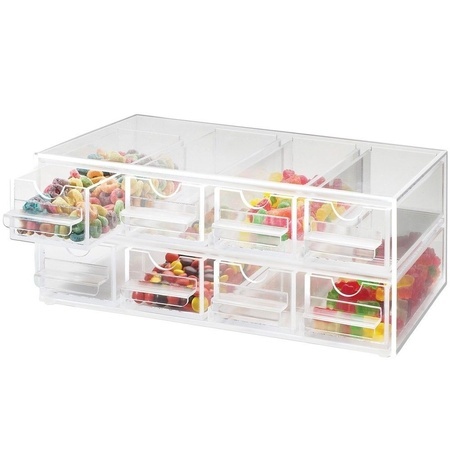 Add a 8 drawer dispenser to your cart today at All candy Containers.